“Moin” and hello on our travelblog PackdenKoffer (Pack your bag)! We are lucky enough to be able to travel and would like to write down our experiences in this travelblog here. Another travel blog? Yes, that’s the way it should be! After a great holiday in Swinemünde on Usedom in Poland in May 2016, the idea for the blog was born here. We hope that you will find some nice ideas to say to you:”I’ll pack the bag and off you go”. My girlfriend and I write about the wonderful experiences, which may not be in the travel guide and which can only be experienced on site. And it is exactly these things that we will write down here in the travelblog bit by bit or better byte by byte by byte – maybe they will give you an idea or two for your travel planning! Have fun on the blog! 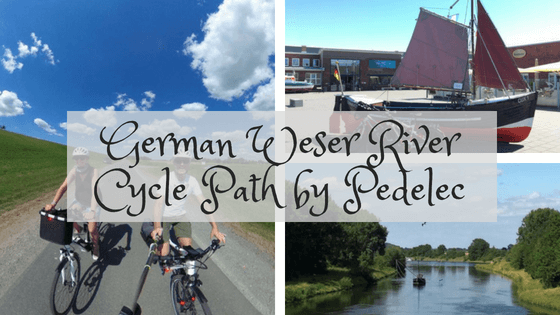 That’s where we come from: Hanseatic city of Bremen – Northern Germany! It is a great place to live and to visit. By the way, when you like to say hello here in our area, you simply can say “Moin“. You can use it in the morning, during the day, in the evening or in the night. Everybody will understand you and also reply with “moin”. Do you love beach holidays and the sea? Sand between your feet and the sound of waves? Sun and air mattress? Then you are in the right place with the next posts on our travelblog. You’re attracted to the cities more? No problem, then you better continue here. Discover the north of Sardinia. We did it and we are absolutely impressed by the nature, water and fantastic beaches of these little island. Off to Sardinia! You love Italy and have only been on the mainland? 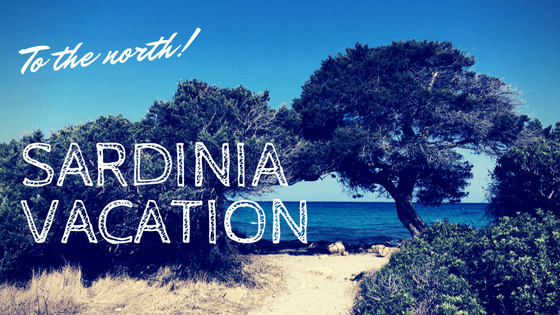 Why not travel to Sardinia? We were on the island and we got absolutely enthusiastic! Crystal clear, turquoise water and many great bays have inspired us. Plus delicious pasta and pizza and you’ll have a great holiday! Interested in another island of the Canarians? 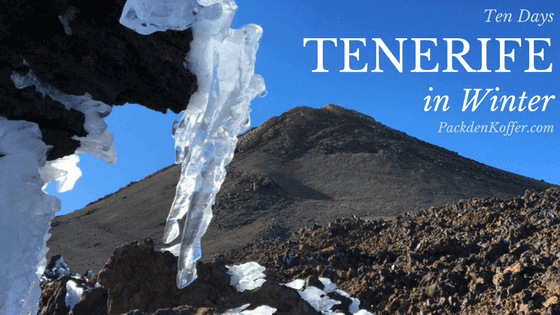 Why not, try Tenerife in January. It is a very nice place and offers a large variety of things to do – also beside the beaches. Sicily – dancing on the volcano Etna with many beautiful beaches and Italy’s sheltered secret about a great island. Situated a little more to the south than Sardinia, the island offers everything for a great holiday. Empty, wide beaches, great food, a volcano and great cities. Two weeks were far too short. We’re definitely going back there again. Gran Canaria, the island of the big dogs, should become our holiday destination in April. One week holiday was quickly booked and the expectations of the hotel, which almost only gets positive evaluations, accordingly high. How should the holiday be after the last great (and individual) trips? We were both looking forward to the holiday…. And that’s how it all started with this blog. A short holiday on Usedom on the Polish side of the island in Swinoujscie. It is not quite as shiny as in the seaside resorts of Bansin, Heringsdorf or Ahlbeck, but this is what makes for a special charm. The promenade in Swinoujscie is absolutely worth seeing. With a fair amount of sunshine we could already lie on the wide beach at the beginning of May. The start of the blog was unknowingly started… read it yourself! Our short trip to the Baltic Sea-very relaxing and absolutely recommended! The Atlantic Grand Hotel in Travemünde on the Baltic Sea. We were on site in March and have tested it with other travel bloggers. Just read what we’ve experienced. August and Andalusia = sun, sun, sun. And here is the sunny post! What you can see in one week, if you travel with your rental car on the coast of Marbella, Málaga and Granada with the Alhambra. Summer final spurt in Turkey – off to Turkey again. Kusadasi on the Aegean Sea. Well worth a visit! Beach, shopping and relax! It can also be endured very well in early autumn. The sea is pleasantly warm and the crowds of tourists are negligible. Cities are your thing? Do you love rush hour, hustle and bustle and are you looking for great shopping possibilities? Then just have a look here. If you prefer to enjoy the sunshine on the beach, you should click here. For a long weekend we have chosen Potsdam during Ascension Day. One thing is clear: Potsdam is ideal for a short break! If you want to experience history and great scenery, there are many possibilities in the city. And if that’s not enough for you, you can still visit the capital with Berlin! New York, The City That Never Sleeps! What a city! For a weekend much too short but definitely a must on the east coast of the USA. The Big Apple and why cycling may be one of the most enjoyable ways to move around on site, despite all the assumptions. Centrally located in Times Square, I explored the city with Rockefeller Center, Empire State Building, Central Park, Wall Street and of course the Statue of Liberty. The visit to the Highline Park was a must! More information here…. Groningen in the Netherlands. To reach from Bremen in 2h and surely a good destination for a weekend. A popular destination with a small, compact city centre. The visit is not only worthwhile for German holidays, as the city is overcrowded. You should definitely take the Grote Markt and the Folkinge Straat with its small and great shops. Hanover, most boring city of Germany? Travel apps for smart holidays! Travel apps – without apps you can’t go on holiday. And here are my recommendations for great travel apps! Packing list - essentials for travels! The packing list. What it all has to do with and has proven itself! Recommendations for useful travel accessories for all types of travel. The Bremen Christmas market is rightly one of the most beautiful Christmas markets in Germany. It has also become the third largest Christmas market in the country. In 2017 the market will take place from 27.11. -23.12.2017. We are already looking forward to it! When unicorns and other mythical creatures march through the streets of Bremen in February, it is clearly the time of the Samba carnival again! One of the highlights in February in Bremen and an integral part of the year. The samba groups are warming up the crowd and Bremen is joining in and celebrating! As the largest and oldest folk festival in Northern Germany, Bremen’s Freimmarkt attracts around four million people every year in the last two weeks of October. The actual open market is located directly on the Bürgerweide behind the main station and is therefore very easy to reach. A visit to the Freimarkt, no matter whether “large or small” Freimarkt is a must for Bremen. I look forward to your email.